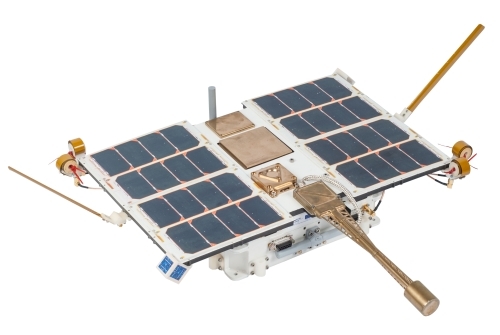 Venta-1 is a nanosatellite developed by Ventspils University, Latvia equipped with two Automatic Identification System (AIS) receivers, a laser retroreflector and an optical imager. The spacecraft weighs about 7.5 Kilograms and is 40 by 40 by 5 centimeters in size. 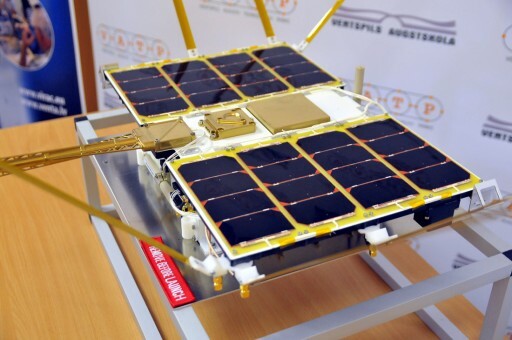 Assistance in the development of the satellite was provided by the University of Applied Sciences Bremen and OHB Systems. Venta-1 uses body-mounted solar panels to generate up to 10 Watts of power. Attitude control is accomplished with a magnetometer and inertial measurement unit to deliver attitude data. Electromagnets are used for basic pointing control. The satellite uses VHF/UHF and S-Band communication systems with a downlink data rate up to 1Mbit/s. Venta-1 is equipped with two LuxSpace SATAIS receivers and an onboard data storage system. The AIS terminals weigh about 1.5 Kilograms and have an expected lifetime of seven years. About 80MB of data will be accumulated in 24 hours. AIS messages are downlinked to a ground station in Bremen, Germany and a ground station in Latvia. Two optical cameras are used to acquire images of Earth that will be geo-referenced with data provided by a GPS receiver.